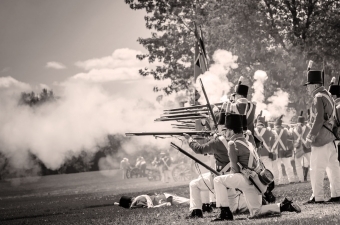 The Bicentennial Celebration of the War of 1812 fascinated both locals and visitors to Niagara with the scope of it's impact on the history of our country. At Palatine Hills Estate Winery, we continue to honour those who fought for our country and the legacy they have left behind. War of 1812 in Southern Georgian Bay? * Unfortunately, we can't verify the accuracy or validity of the information provided by the links on this page. All images on this website are used with permission. Map of the Niagara Frontier, 1869, Benson J. Lossing, The Pictorial Field-Book of the War of 1812, Archives of Ontario Library.